… and we’re partnering with When In Manila! 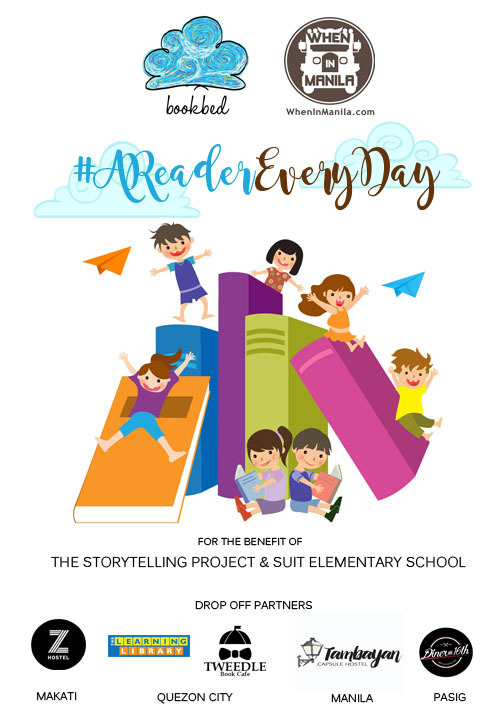 For this leg, we’re excited to raise book donations to benefit the Suit Elementary School in Dagupan City through The Storytelling Project! If you’ve been living with your nose forever perched in a book, TSP is a non-government organization that shares the same advocacy of spreading the habit of reading. They implement a three-phase program: 1) month-long storytelling sessions, 2) library project and 3) reading club formation. The school, which is now on Phase II, accepts children’s books, young adult books, reference books for kids and teens and activity books, provided they are in good condition.